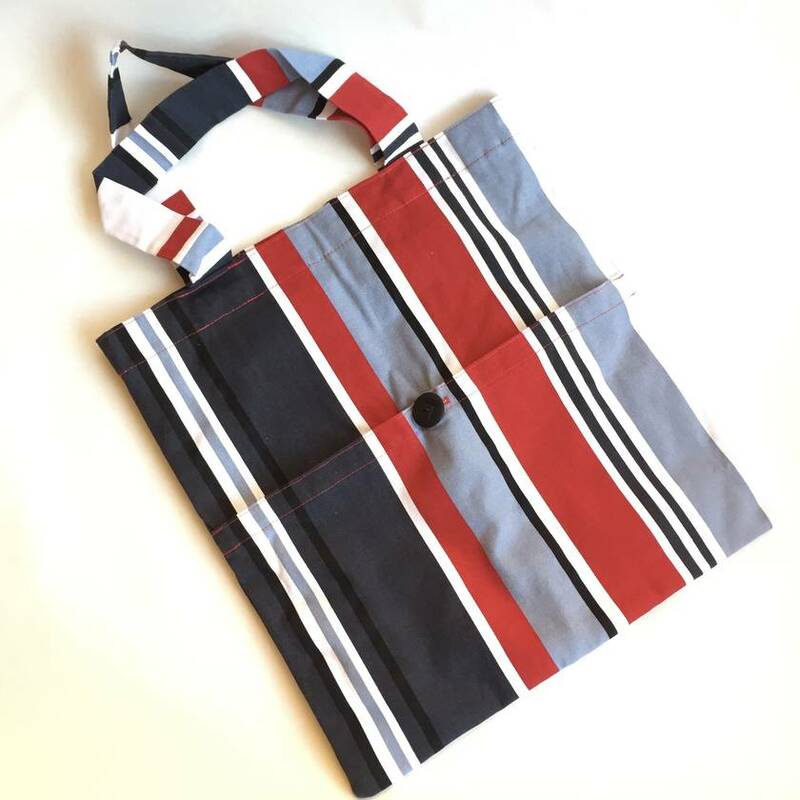 A cheerful, handy tote bag made from 100% cotton. 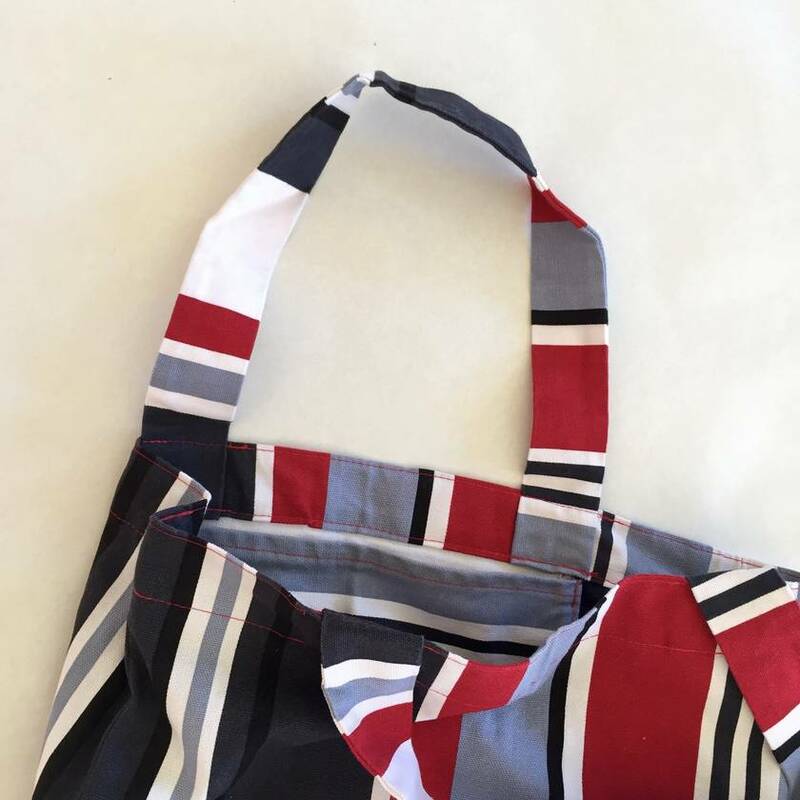 It is fully lined in plain blue cotton and features two pockets - one on the outside that fastens with a recycled button and a smaller one inside for those little things that tend to get lost at the bottom of every bag! Pre-washed and made in a smoke-free home.